Those clever folks over at the Dickens Museum have uncovered a previously unseen letter from Dickens to his lawyer Frederick Ouvry, dated 30 October 1869, detailing the terms of his contract for The Mystery of Edwin Drood. 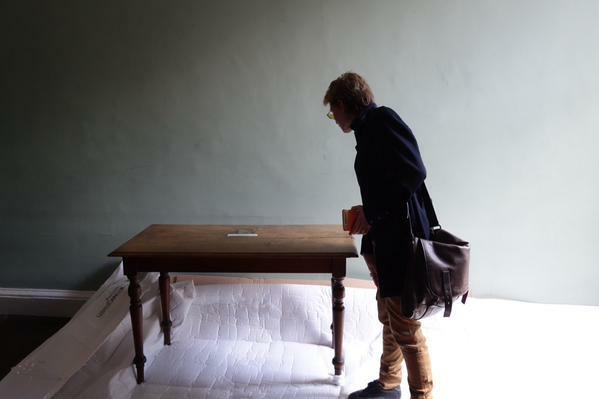 The letter has lain buried among a collection in the basement of the lawyer’s offices and was brought to my attention by the Museum’s curator, Louisa Price. So what does it say I hear you cry? Well, it doesn’t tell us the end, I’m afraid, but there are three key points of interest. The first is buried among the standard terms which Dickens is dictating to the publishers Chapman and Hall. Asking for a total payment of £7,500, he asks – and this is the important bit – that it be paid to him in instalments – half the sum (£3,750) to be paid on publication of the first number, with a quarter (£1,875) to be paid on publication of the sixth instalment and the final quarter (£1,875) to be paid on publication of the final part. You’ll recall that Dickens died after the publication of the third instalment, with John Forster then poring over his manuscripts to produce instalments four to six. Now, I need to do more digging on this, but presuming that Chapman and Hall would have been required to pay any sums owing to Dickens’s inheritors, there is a potential solution here to their reticence in completing the story beyond Dickens’s manuscripts, or rather 1,875 of them. Michael Slater suggests in his biography of Dickens that a good estimate for translating Victorian sums of money to modern equivalents is to multiply it by 75, which means that Dickens’s death saved Chapman and Hall £140,625 in today’s money, with the added bonus that they still had the sales of the first six numbers and the one volume anthology (rather than the planned two – another saving in terms of outlay). The contract doesn’t actually specify that Dickens has to be the one writing the numbers (it’s pretty much assumed), so had Forster or Collins chosen to do so then of course there would be the expectation of further payment, whereas with half the story under their belt they were presented with the best of both worlds – Charles Dickens’s last story, and a guaranteed seller for that, with a bonus saving of a quarter of the original fee. The second point of interest is in what is not said. A lot of the details outlined above have previously been available to us via the final publishing agreement drawn up by Chapman and Hall, which has already been published in the last volume of the Pilgrim edition of Dickens’ letters, but there is much to be learned from a comparison of the two to see what Chapman and Hall have added that Dickens did not stipulate. The final agreement adds to the terms set out in Dickens’s letter with a clause that in the event of Dickens’s death they and Forster will agree between them how much money, if any, is due back to the publishers as compensation for lack of completion. This in turn may explain Forster’s willingness to publish up to instalment six, and fulfil that part of the contract; but the fact that this clause does not appear in this new letter from Dickens suggests it is the publishers, not Dickens himself, with concerns over the author’s mortality, which drastically rewrites the popular view of Dickens writing Drood under the shadow of forebodings of his own death. The third point of interest is more vague but, simultaneously, one that will provide a great deal of speculation for Droodists. Dickens says ‘Secrecy is important, and particularly as to the name of the book.’ Now why would he go and say that, do you think? Could it be purely practical reasons to stop the literary pirates getting the jump on him, or is there some deeper intrigue at work here? Personally, I think the former more likely, but I also think that’s not going to stop many others seizing upon this as a clue to the solution, and I’d be lying if I said I wasn’t looking forward to seeing some of those ideas take shape in due course. I would love to share the letter with you in full, but – here comes the legal bit – all unpublished letters written by Dickens are the property of the Dickens family, who have kindly granted permission for publication to the Dickens Letters Project, who in turn have kindly said I could quote a few words here, no more. 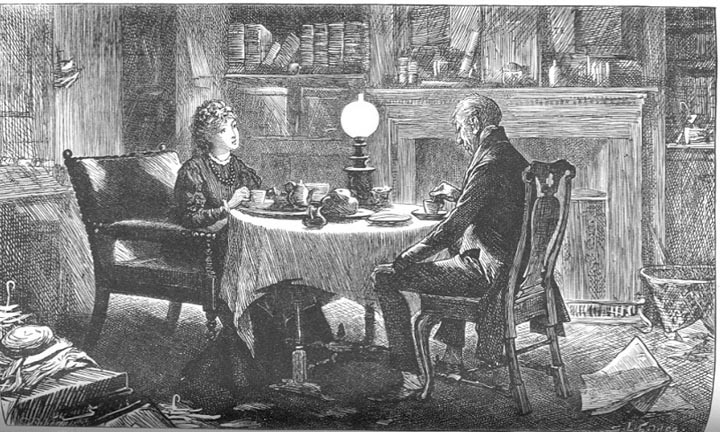 The good news is that they will be publishing a transcript of the letter in due course (for those who don’t know, Dickens’ letters have been published in twelve – yes, twelve – volumes for the Pilgrim edition, and new finds and additions are regularly published as appendices in The Dickensian, the journal of the Dickens Fellowship). So, eventually, you will be able to read it. Better yet, if you can’t wait that long, the Dickens Museum will be adding the original letter to the Drood exhibition, which will continue to run until November 2015, along with a more recent commentary on the mystery in the shape of a new solution written by a certain crime writer called Patricia Cornwell. All in all, it proves once again that Drood discussion is thriving and ever-expanding. With grateful acknowledgments to Louisa Price and Robert Moye of the Dickens Museum, and Leon Litvack of the Dickens Letters Project. This entry was posted in Themes and influences in Drood and tagged Chapman and Hall, Charles Dickens, Frederick Ouvry, John Forster, Patricia Cornwell, Pilgrim Edition of Dickens Letters, The Mystery of Edwin Drood. Bookmark the permalink.